Lauri is an experienced project manager both in chemical and biofuel projects. 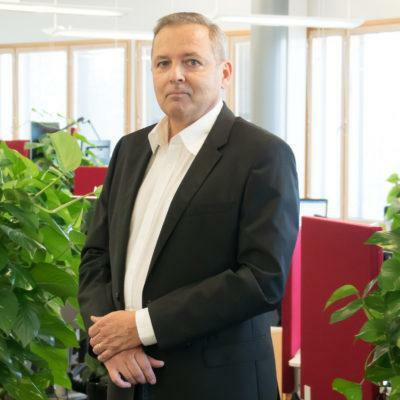 Lauri has led several greenfield and turn-key projects as project manager from desktop studies and development into start-up activities and commissioning. As Senior Consultant at Spinverse, he is concentrating in project execution and project management tasks and technical question of bioeconomy processes and technologies. Lauri joined Spinverse at the beginning of February 2018. Before Spinverse Lauri worked in St1, a major petrol retailer and energy company in Nordic. Lauri was a project manager for the novel, saw dust into ethanol, project of St1 from the development phase until the end of commissioning. Additionally, he acted as a Head of Project and Procurement team of St1 Renewable Energy. Main duties were to build a new project execution model for the energy projects of St1 Renewable Energy. Lauri has long, more than twenty years’ background at Pöyry companies. Most of his time at Pöyry, he worked in a contracting company JPI managing turn-key and EPS projects. In addition, Lauri worked some years separately at Environmental consulting and Energy consulting companies of Pöyry. Lauri has been two years at BASF Dispersion plant in Hamina as a leader of production team and in charge of the organization of 40 people. Lauri is strongly committed to quality and risk management and has vast experience on project and process risk analysis and management, especially occupation safety and process safety issues. Lauri holds M.Sc degree in chemical engineering from Lappeenranta University of Technology. When off-duty, Lauri enjoys non-engineering activities at home, especially in the kitchen. Travelling is a pleasure together or separately with reading, music and other cultural activities.